Remember your favourite cruise holidays for years to come with our guide to special souvenirs to pick up whilst on your travels. When you secure a fantastic cruise deal, and are setting out on a voyage, you’ll be able to experience a wide range of different cultures and countries. And it’s not unusual to want to capture a piece of each destination to take home with you. Whether you’re looking to get this from the shores you visit, or from the onboard shop stocked with treats and memorabilia, it’s always important to take a momento home to remind you of the holiday of a lifetime. But with so many treasures across the world, it can be difficult to remember which key items you should be seeking out during your visit to these countries. This blog is going to explore the kind of one-off items you can collect whilst on your cruise holiday. 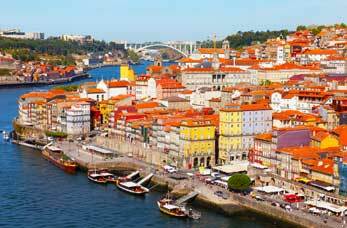 Scroll down and see if any of the destinations you’ll be setting sail to have made the list. Then enjoy your trip safe in the knowledge that you’ll still have a slice of paradise with you when you return home again. Austria is a wonderful country to visit and is home to a wealth of stunning cities such as Vienna, Salzburg and Graz. But one thing that Austria is famous for more than anything else is their Swarovski crystals. A crystal associated with decadent, high-end luxury, we highly recommend that you seek out Swarovski whilst in Austria. Whether you decide to opt for a necklace, bracelet, or whatever item that takes your fancy, just make sure you don’t miss out. Owning a Swarovski crystal is a wonderful treasure to remind you of your amazing holiday, to keep a piece of this wondrous place when you depart. The city of love and iconic, charming scenery, Paris is also home to some of the best patisserie treats you can find in Europe. And one of our favourites has to be the humble macaroon. The two layers of almond based cake that squish together sumptuous buttercream make for a glorious treat. And because they’re small, you can get away with eating more than just one! Macaroons are a great gift to take back for those at home, or can also be a great addition to your own kitchen cupboard to remind you of the glorious city that is Paris. 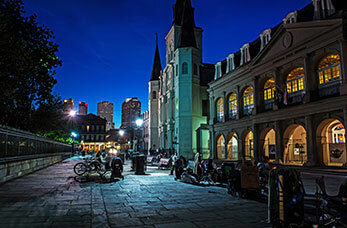 The delights of New Orleans in the USA are not one to be missed. A city filled with fantastic art and buzzing with creativity, New Orleans is also home to jazz music. We highly recommend you spend some time getting acquainted with this genre whilst you’re docked there, but if you only have a quick stop off, then you could always download an MP3 when you get home. Take it home with you, put it on your iPod, and sit back. Enjoy the soothing tones as you relax and drift back to the wondrous cruise you experienced. Nothing can capture the mood of a place better than music, and with Jazz close to hand, that New Orleans feeling never has to end. Ireland is home to some of the most beautiful countryside in the world. If you like to be at one with nature, then Ireland is the perfect place to visit. 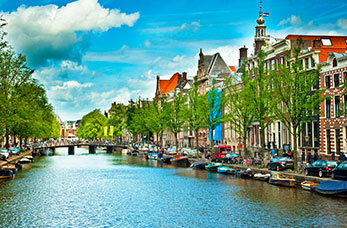 And what’s more, the country is also famous for a variety of items, including the four leafed clover. It’s a symbol of luck, and if you really want to capture the Irish spirit why not purchase something with the iconic, lucky symbol on it? Whether you opt for a shamrock themed piece of jewellery, or would prefer something you can display in the home, it’s a great way of keeping the Irish luck alive after you return from your trip. Docking at any port in Italy will give you access to a variety of wonderful things. 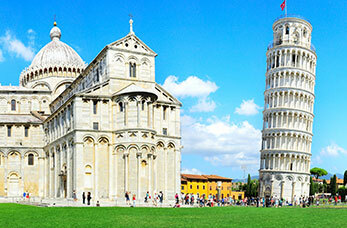 These include famous attractions, awe-inspiring architecture, and wealth of tantalising Italian foods. Yet we recommend that you also make sure there’s room in your bag so you can stock up on local delicacies such tantalising dried pasta, Limoncello, truffle oils and balsamic vinegars. You will be dining on these food memories for a long time once you get home, and your holiday will be kept alive after you’ve left the Italian shores. 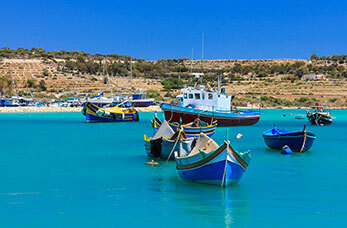 Another beautiful cruising destination, Malta is home to an array of inspiring items you can bring home. One of our favourites is the glass artwork that is so masterly crafted at this destination. Everything from wonderful pieces to add an exotic edge to any room, through to beautiful vases to store fresh flowers, bringing a piece of glass work home from your trip will invite and air of Malta into your home. As well as being a stunning, warming location to dock, Portugal is also host to some fine alcoholic tipples.If you have a passion for port, look no further. The portuguese specialise in some of the finest ports around, and you can keep these drinks for as long, or as short, as you’d like. And if you really want to keep the Portuguese dream alive even after you’ve indulged, try slotting a candle into the top of the empty port bottle. They make great centerpieces that add a rustic vibe to any table or shelf. Amsterdam is an fascinating place to visit, and the scenic architecture makes for a fantastic selection of post-holiday pictures. But one delicacy that you simply must invest in whilst in the country is the Stroopwafel. These tantalising treats see two thin layers of waffle with a hint of cinnamon sandwiching a gorgeous smudge of sumptuous caramel. The traditional way to eat them is to make a warm drink, and then balance the waffle on top of the cup. The steam will heat the waffle up, making it extra gooey and even more enjoyable. They’re a treat that you can enjoy whilst away and at home too, so make sure you take the time to invest in these tasty treats on your trip. If you have a taste for the finer things life, specifically leather, then Spain is the country for you. Known to have a wide variety of top quality leather goods, you can be sure you’ll get access to a wealth of belts, bags, jackets and much more that you can continue to wear long after your trip is over. In essence, it’s like carrying a bit of the country around with you, and it will keep the Spanish dream alive. 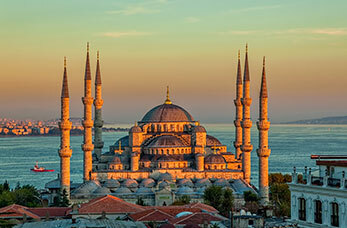 Turkey is a beautiful country to cruise around. The historic cityscape and the wondrous, inspiring oceans filled with the deepest blues possible make it a fantastic place to visit. And Turkey is also home to the tradition of the ‘evil eye’. This is the belief that when someone looks at in a disrespectful way, they are giving you the ‘evil eye’. The way to combat this is by keeping the Blue Nazar on you. This is an eye-shaped design that is a deep, vivid blue, and it comes in many formats from keyrings to little safety pins, to ornaments. It’ll add a little exotic charm to your house, so they’re fantastic items to invest in either for yourself of as a gift for someone else. 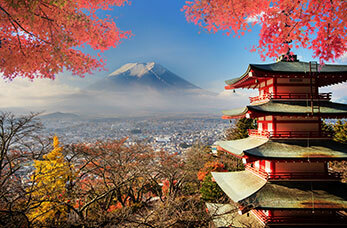 A country heavily associated with spiritualism, Japan is also home to the classic Daruma doll. This doll is hollow and usually made out of wood, and is a small round shaped object that is modelled on Bodhidharma, who is the founder of Zen Buddhism. They are supposed to be good luck charms, so much like the evil eye of Turkey, they make a great, unique gift to bring home either for yourself or a loved one. Home to popular destinations such as Cusco and Lima, Peru is a beautiful country that boasts some of the finest scenery in the world. And if you enjoy musical instruments, then they also might have the perfect cruising treasure for you too. The Panflute is commonly found on these shores, and the five pipes gathered together make wonderful music. They’re also an excellent way way of bringing a part of Peru back with you, and they make great talking-points for decoration in the home. 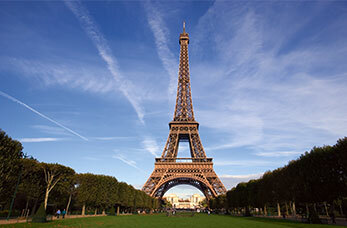 Interested in fantastic cruise deals? If you’d like to go on a cruise and discover some of the treasures we’ve discussed in this blog then get in touch with Cruise Nation today. We offer a variety of cruising deals covering everywhere from The Mediterranean through to Dubai and the Emirates, and we take pride in match our customers with the ultimate cruising experience suited especially to their tastes. What’s more, we also have a wide selection of last minute cruises deals and smart packages, meaning great cruises don’t have to come at large prices.To find out more about our offers, give us a call on 0800 408 0757. Our dedicated cruise specialists will be on hand to help you organise the trip of a life time.And remember, whether you’re after a week-long European cruise, or a three month world tour, we have the perfect cruise package for you.